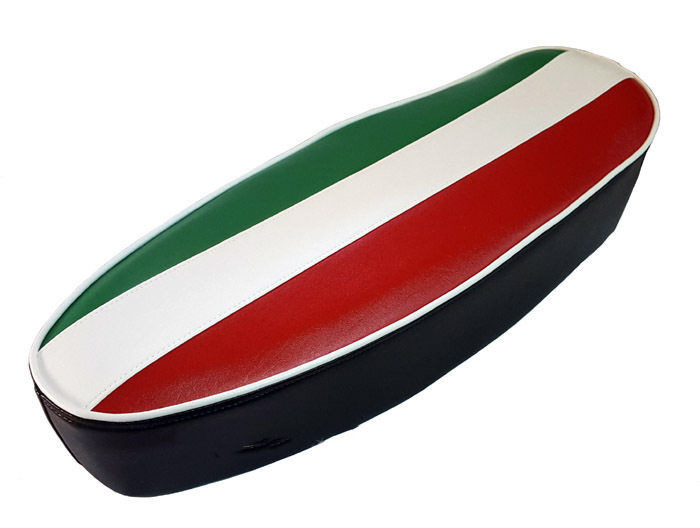 Our beautiful Italian Flag seat cover is a great way to give your vintage scooter some Italian flair without changing your original saddle! This is not a printed cover, we hand cut and sew the stripes together, and finish them with a bead of our own sewn piping/welting. The sides of the seat are black, to provide a neutral transition,so that this seat cover will look amazing on any color scooter. 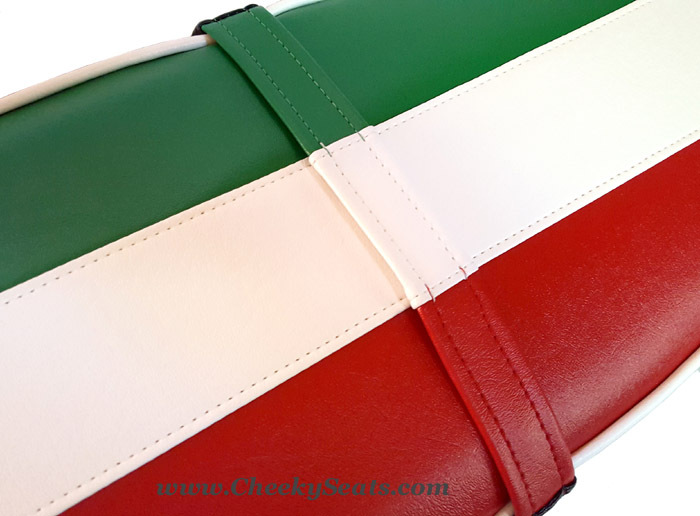 We have constructed the Italian Flag cover with premium outdoor materials. It is waterproof, UV stabilized (will not fade), scratch, scuff and abrasion resistant, and will not peel or crack. Your seat will stay so much cooler in the sun! A seat cover is the best way protect and preserve your original saddle. Our seat covers are designed to go right over your original seat. No staples or special tools are required. 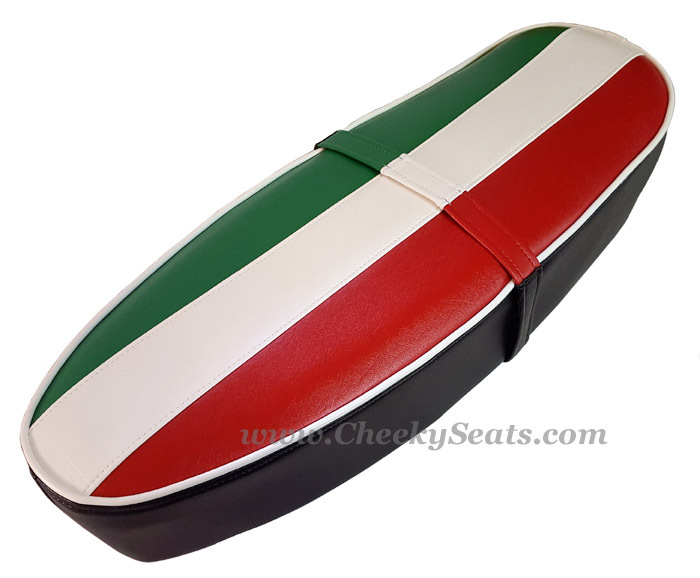 Our seat covers work beautifully if your original seat and foam are solid, and in good shape. If you need a more structured or reinforced cover, please let us know. 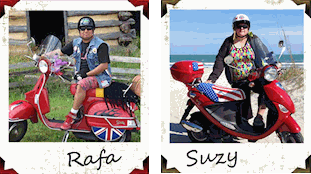 We do not include hardware, trim or badges, you will have to use those from your original seat.